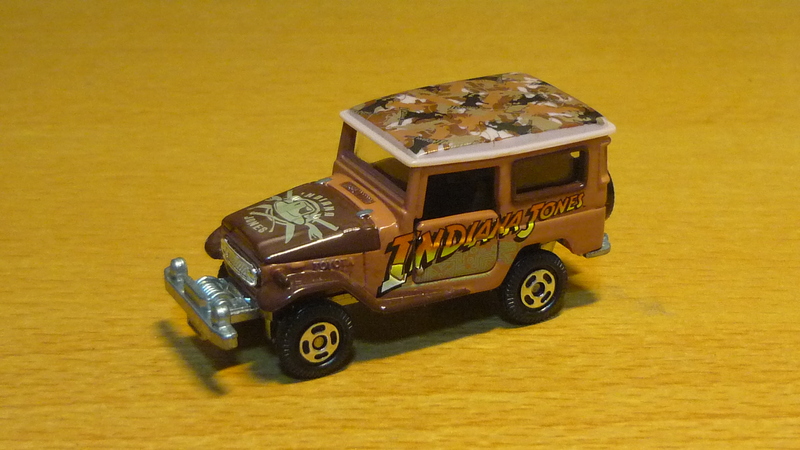 I was surfing on eBay, looking for any interesting Indiana Jones merchandise on sale when I came across an auction for the Indiana Jones Land Cruiser, released by Takara Tomy in 2008 under their “Tomica” line of die-cast vehicles. Intrigued at the idea that there is an Indiana Jones themed vehicle, I decided to keep a lookout for the Indy Land Cruiser at local stores. 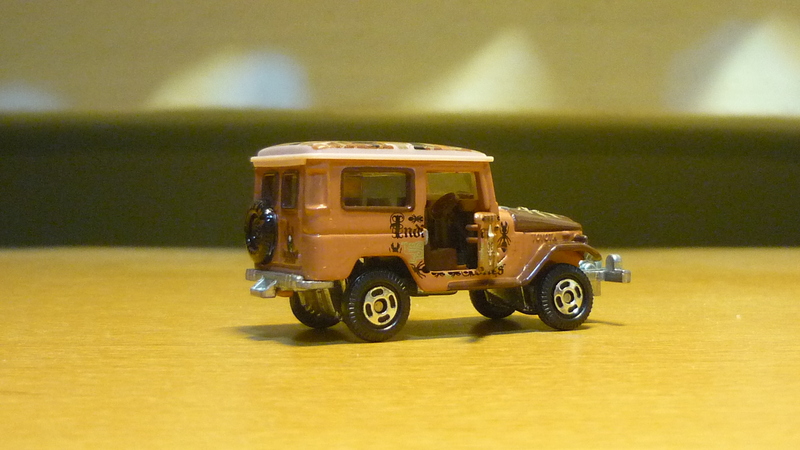 However, none of the departmental stores seemed to have imported the Indy Land Cruiser despite selling numerous other “Tomica” vehicles. But amazingly, I was able to find one (and the only one on sale) at only one shop. How it got there remains a mystery. 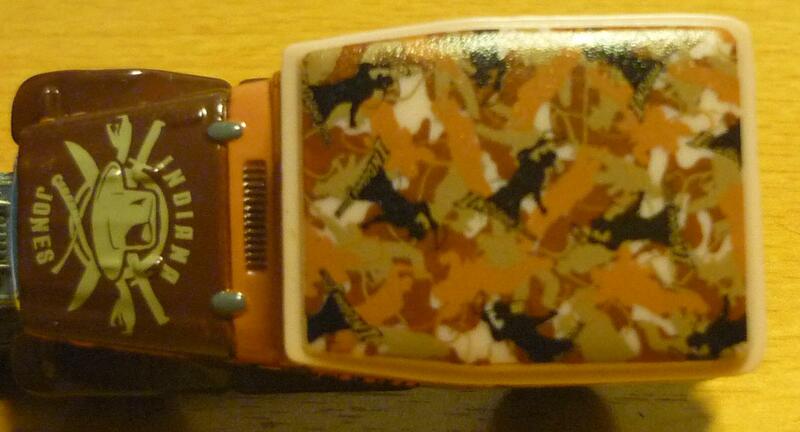 Left view: The “Indiana Jones” logo is emblazoned on the side. Right view: It’s the crystal skull and giant ants from KOTCS. Front and rear view: The side doors open up. Another crystal skull on the rear door, with the Indy silhouette. View through open door: The steering wheel is on the right side. 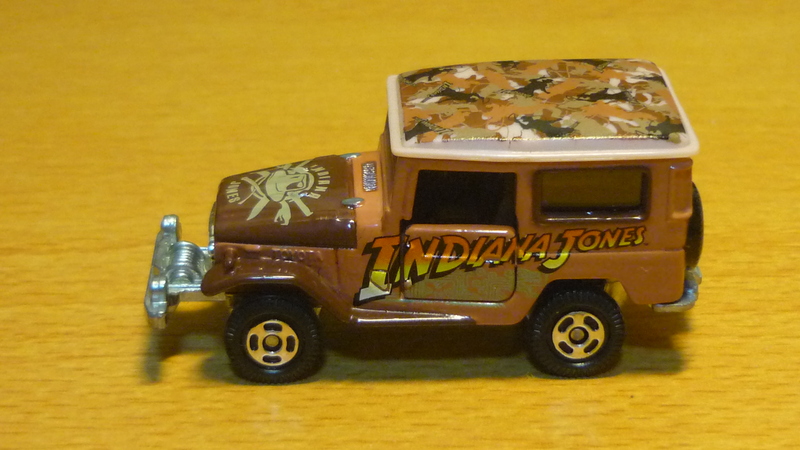 Top view: Another Indiana Jones logo on the bonnet, and more Indy silhouettes. 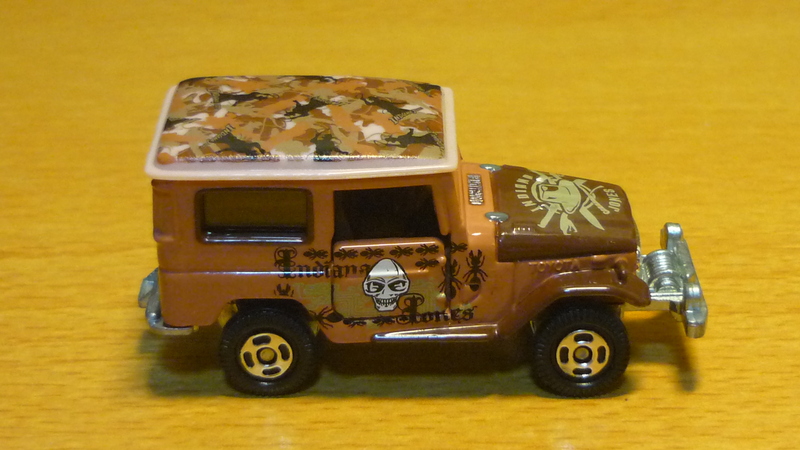 The presence of the alien crystal skull decals makes me believe that the Indiana Jones Land Cruiser was released in conjunction with “Indiana Jones and the Kingdom of the Crystal Skull”, also released in 2008, possibly as a promotion for the film. I also believe that the vehicle is a remodel of an existing “Tomica” Toyota Land Cruiser which had been previously been released with different colour schemes. “Indiana Jones Adventure: Temple of the Crystal Skull” is a dark ride attraction at Tokyo DisneySea, which apparently has a steamer liner in service there. 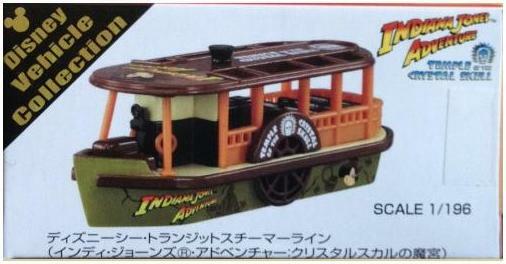 And this Indy theme boat would be a replica of that steamer liner. 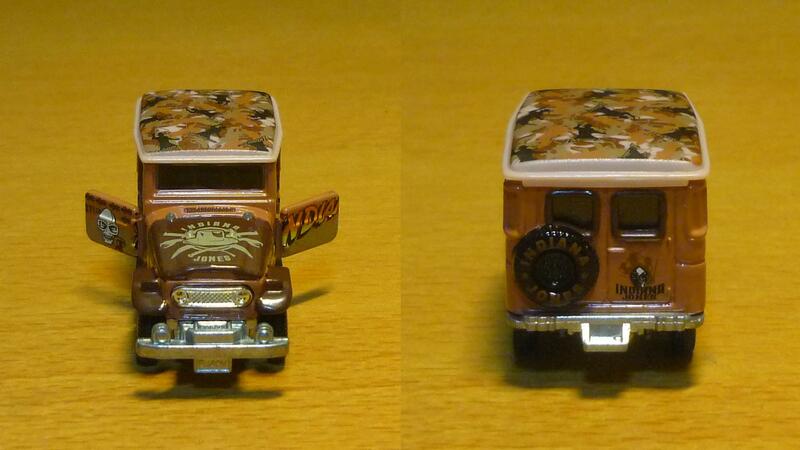 I’m not sure whether this vehicle was ever released overseas, or if it was only exclusively available at Disneyland. But I’m keeping an eye out for the Indy steamer liner in hope of the slim chance that it made it out, somehow.